Today the YBS have a good future if “hope’ could be the commodity that is needed. One year ago it looked like the end. Genocide of the Yazidi. Our friends, the nurses in Sinjar, 2014. One year ago, the terrorist militia of the Islamic State Caliphate overran the major area of settlement of the Yezidi minority Shingal in northern Iraq. The caliphate´s henchmen crushed village by village, perpetrated one massacre after another against the helpless civilian population, piled up their victims´ bodies one above the other and abducted and enslaved thousands of defenseless women and girls. A crime that constitutes allmost all criteria of a genocide under the Geneva Convention. For the Yezidis, the Shingal region embodies their carotid of religion, culture, history as well as the Yezidi resistance. All Yezidis´ revolts and uprisings started out from there or came to their end. The disaster of Shingal prompted the world to go to war against the IS and send weapons, advisors and military equipment to the crisis region. 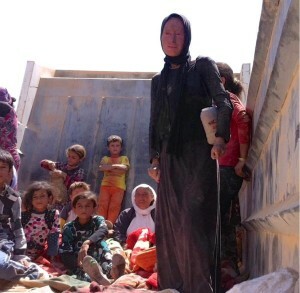 U.S. President Obama ordered airstrikes against the IS on August 8, 2014 to prevent an “imminent genocide” and liberate the Yezidis trapped in the mountains. 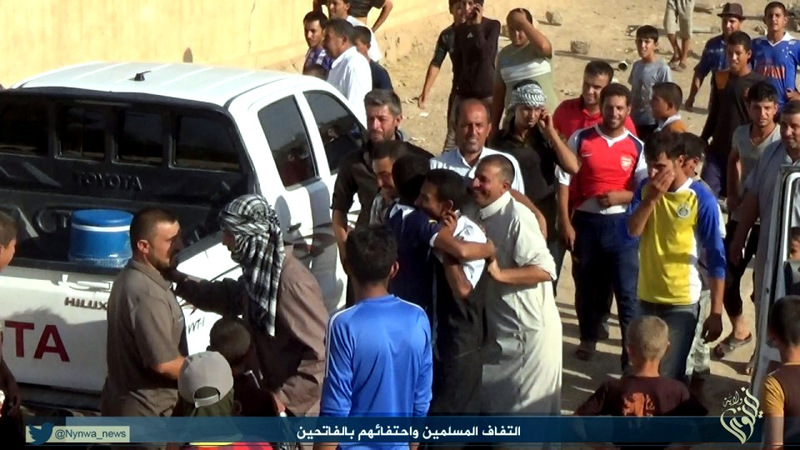 The U.S. would not stand “idly by” and watch a minority threatened by the IS to be exterminated. And the airstrikes indeed rescued – despite all the political controversies from the so called anti-interventionist camp – over 60,000 Yezidis stranded on the mountains. The U.S. kept its word and did not stand idly by while U.S. critics such as Jurgen Todenhofer provided the IS with a platform to “unmask the propaganda behind”, he later explained. As if the IS which even utters its own magazine ever tried to hide its ideology from the public. 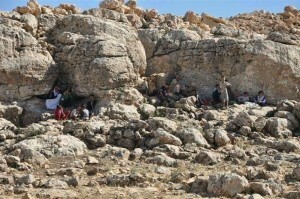 Yazidis hide in the mountains. The genocide has engulfed the Yezidi community in a deep crisis, political divisions among Kurdish parties are in danger of being fought on the backs of the Yezidis in Shingal. But not the political parties are to be blamed but Yezidis who agitate and sharpen the knives for them. Yezidi combat units belonging to different parties and independent ones have already begun to rattle their sabres, while more than half of the region remains under IS control. The Yezidi youth goes at each other´s throat on social media because neither its political nor religious and certainly nor its leading figures are able to provide a way out of the crisis. Once again, heroes from the very start developed into loyal party supporters who consider their party´s sensitivities as more important than the political future of Shingal. But how could this development happen? Why was the genocide not prevented by the Peshmerga which was supposed to be committed to it, why was the IS not stopped or at least hold back until the civilian population was able to get to safety? Even one year after the disaster, the cause that allowed this genocide to happen is either not being addressed or only brought to the agenda in a political battle. The term of betrayal is inflationary being used by Kurdish politics, but we are not speaking of a traditional dispute or a disagreement. We are speaking of a genocide that has claimed thousands of Yezidis´ lives and has brought slavery to thousands of women and children. When the IS strenghtened by the Syrian civil war returned to Iraq und took Mosul in the beginning of June 2014, the looming threat to all minorities in the region was evident. First it hit the Christians in Mosul who were in danger of loosing their traditional home in the Middle East after centuries for the first time. The Yezidis in the neighboring Shingal were aware of the danger that awaited them. Even after the fall of the Saddam regime, Yezidis were denied a leadership over the Yezidi-dominated Shingal region. Neither political nor military decision-making power was conferred on them. The region continued to cause problems between the Autonomous Region of Kurdistan and the Iraqi central government. Article 140 of the Iraqi constitution regulated that the region´s status should be clarified through a popular referendum which, however, was never ratified due to political tensions. And so the region wasted away: While the major parties laid claim to the region, they always hold themselves back when it came down to investments, pointing out to the opposite party. The same went for the security situation. Then happened, what had to happen: On August 14, 2007 al-Qaida terrorists perpetrated an attack on the southern Yezidi villages Siba Sheikh Kidir and Gir Izer in Shingal. Four trucks carrying explosives were used in that attack. Both villages were almost completely destroyed. 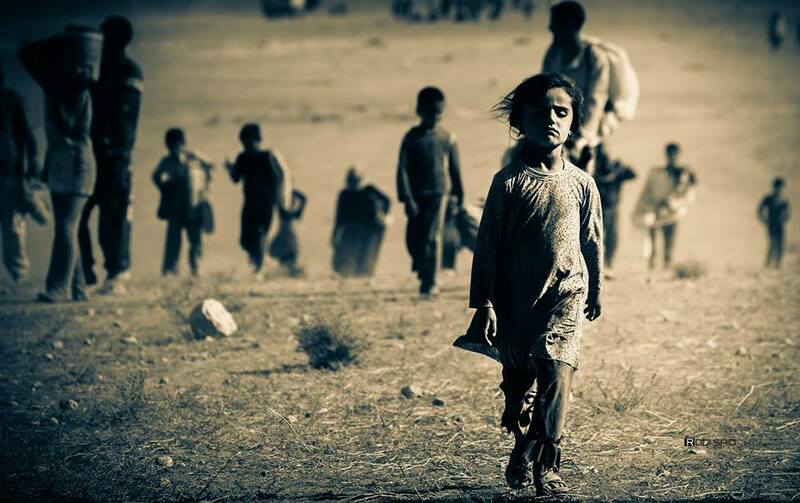 The result: around 800 killed and over 1,500 wounded Yezidis. Seven years later, the war between Iraqi security forces and the terrorist militia Islamic State broke out. The Kurdish government responded immediately this time and sent troops to Shingal. In the same month, thousands of Peshmerga fighters advanced to Shingal and took the region despite the political differences with the Iraqi government. 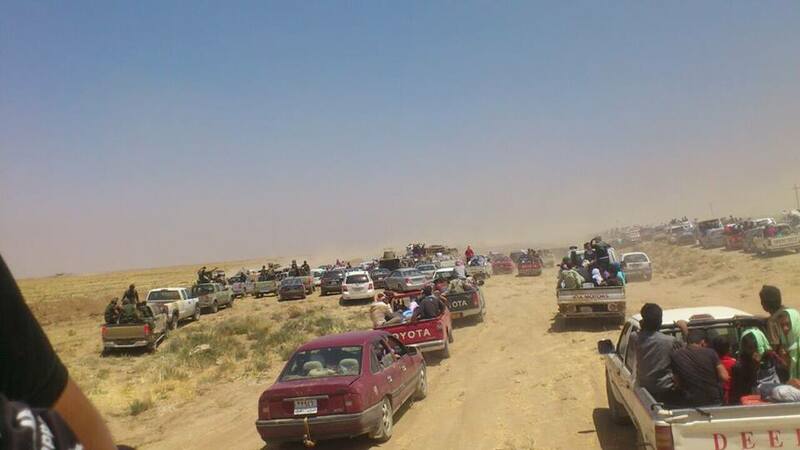 After all, the Iraqi security forces had not only been fleeing from Mosul but also from Shingal. Heavily armed Peshmerga marched through Shingal, making clear that article 140 carried no weight anymore. The Ministry of Peshmerga then announced that its fighters would not pull back from the regions that were protected by them. While the state of Iraq seemed to crumble down, the Kurdish government did its job properly and took control of the disputed areas, having a 1,000-kilometre frontline to the IS from then on. The fleeing Iraqi soldiers, border guards and police from Shingal had been leaving their weapons behind which Yezidi civilians took for their own defense. Peshmerga commanders, however, ordered their disarming on the grounds that Peshmerga fighters now showed presence there and would defend Yezidis in any case. Indeed, some smaller clashes had frequently erupted at the external borders of Shingal which the Peshmerga successfully repelled. They would “defend Shingal down to the last drop of their blood”, said Sarbast Bapiri, head of the 17th section of the Kurdistan Democratic Party (KDP), the party of the Kurdish President Barzani which had taken control of Shingal. 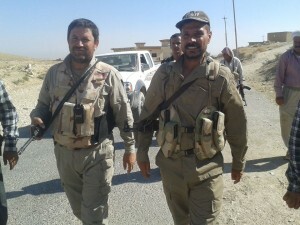 After Baaj, located in the south of Shingal and Tal Afar which is in the east of the region had fallen to the IS in June 2014, Sheikh Doski established under the permission of the KDP a special unit called Hêza Reş (engl. Black Unit) which consisted of around 700 fighters, 300 of whom were from Siba Sheikh Kidir where they had served in the Iraqi army. However, Yezidis doubted that KDP Peshmerga, who are predominantly Sunni Muslim like the ISIS, would protect them in the case of a large-scale IS offensive. Therefore Haydar Shesho, member of the Patriotic Union of Kurdistan (PUK) and former Iraqi MP representing the Kurdistan Alliance, mobilized 3,500 Yezidi volunteers who were supposed to defend Shingal alongside the Peshmerga. 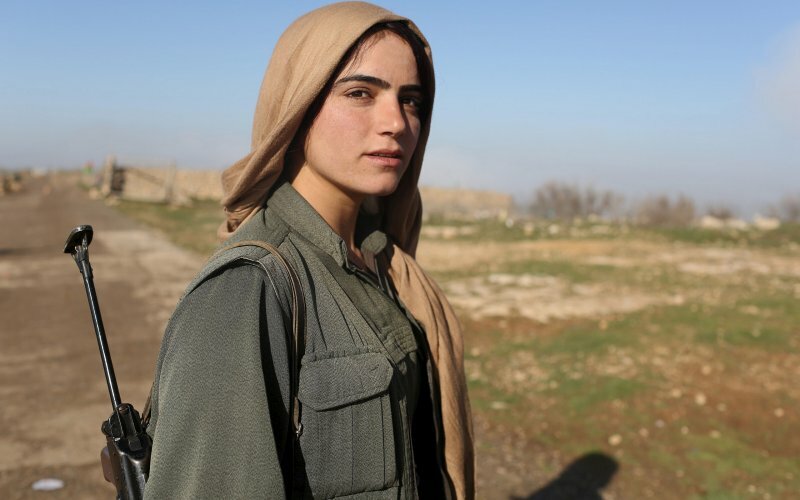 One week before the genocide, Shesho had told AraNews about the necessity of arming Yezidi volunteers. Salim Rashdani, Yezidi intellectual, said in the same interview that the “weak Peshmerga support for Yezidis poses a risk to the future.” And he was right. 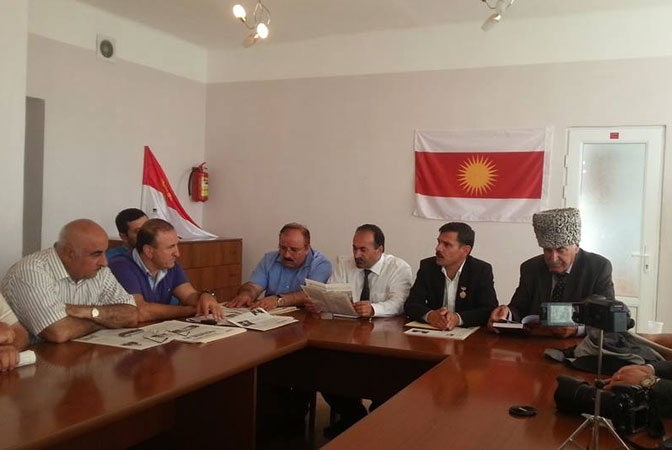 The 17th politburo of the KDP under Sarbast Bapiri, however, declined to arm the Yezidis, stating that the unit was “a pure Yezidi but not a Kurdish one”, adding that the Peshmerga had already taken adequate precautions to defend the Yezidis. Meanwhile, the Religious Council of the Yezidis also tried to convince the Kurdish government under Massoud Barzani to establish a Peshmerga unit consisting of Yezidi fighters who were supposed to defend Shingal under the Peshmerga Ministry. The KDP leadership, however, refused and prevented a personal meeting with President Barzani, said Karim Sileman, adviser to the Religious Council of the Yezidis. Yezidi soldiers of the Iraqi army, border and security police had ended their service and got ready for the defense of Shingal region. From Siba Sheikh Kidir alone, 1,347 Yezidis serving in the Iraqi army quit their service to voluntarily defend the Yezidis´ major area of settlement. The soldiers asked the Peshmerga to hand back their weapons which the Peshmerga had taken off them before. Both the commanders and the politburo rejected again. The number of Peshmerga fighters who were deployed and armed in Shingal and its vicinity (Zummar) came to 11,000 according to Sarbast Bapiri. The number has been repeatedly confirmed by both Kasim Shesho, member of the 17th KDP politburo and based in Shingal, and Haydar Shesho. Said Kestayi repeatetdly stated that 8,000 Peshmerga in Shingal were under his command. About 200 commanders were in charge of the 11,000 Peshmerga in Shingal. On August 3, one day before the IS overran the region, Sarbast Bapiri told the Kurdish news agency Waar that the security situation in Shingal was “stable”, adding that the Peshmerga had secured “all external borders”. One week before, the terrorist militia had already threatened to launch a large-scale offensive. 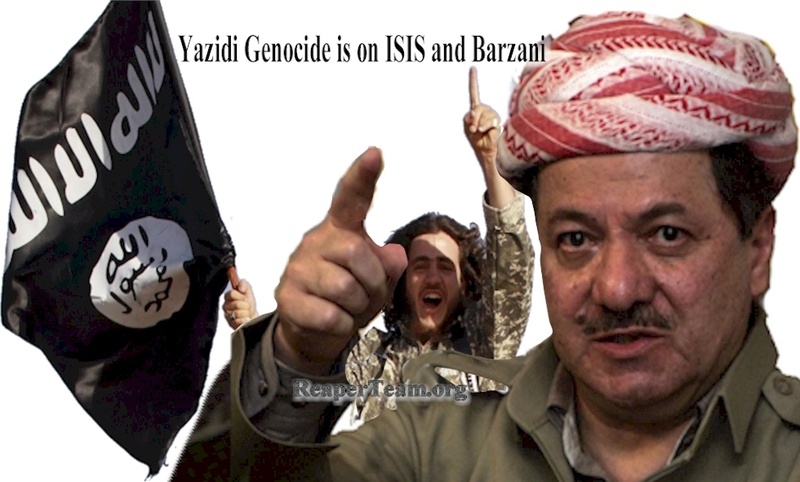 On a Saturday, in the evening of August 2, 2014, Yezidis in the south of Shingal hear the last volleys of the day. The IS usually attacks in the early morning or at noon, at night it shells villages or positions of resistance fighters. A Yezidi doctor of the city hospital eavesdrops on an employee – a Muslim Kurd – talking on the phone. The doctor confronts him since the phone call seems to be about the Shingal region and IS terrorists. The employee then tells him that he has spoken to a friend who has joined the terrorist militia. The IS terrorist has assured him that the terrorist militia would stay in Shingal the next day, “without having a shot fired”. The doctor´s statements are available to Yezidi activists. As in the days before, Yezidi civilians armed with light weapons keep guard during the night. “Our community Siba Sheikh Kidir borders the Arab villages, which is why we have been sleepless every night. We were afraid that the IS might attack us at any time and kept therefore guard”, says the Yezidi intellectual Heci Qeyrani who lived in Siba Sheikh Kidir. At around 2 a.m. the terrorist militia´s onslaught then begins. The IS terrorists use dozens of fighters, heavy weapons, mortars, armored and armed vehicles, an eyewitness reports. Several henchmen of the IS advance to the towns of Siba Sheikh Kidir, Qataniya and Gir Izer. A first mortar shell hits Siba, another Gir Izer. 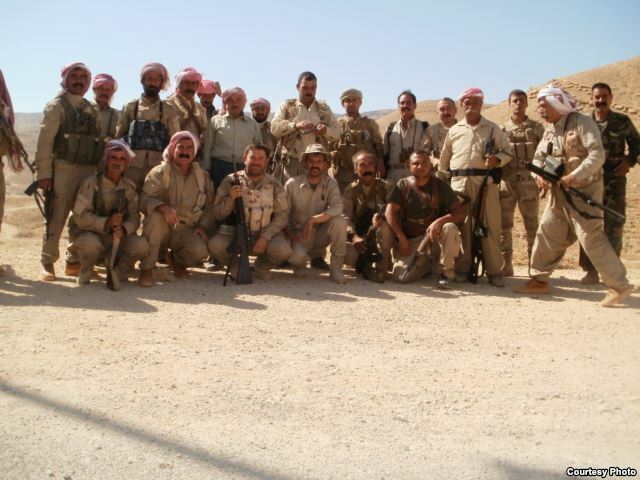 The armed Yezidi men and youths take up position, assuming that the clashes would be over soon. But heavy clashes erupt, the terrorists push even further and come closer to the towns where tens of thousands of Yezidis live. Despite having light weapons, the Yezidis are able to repel the first wave of attack and kill dozens of terrorists. “We were able to repel the first attack, we killed and pushed them back. But they mobilized again and attacked us once more. Again, clashes erupted”, says an eyewitness from Gir Izer. Via the road from Gir Izer to Baaj which is actually controlled by the Peshmerga, more terrorists swarm to the frontline. The Peshmerga who are located at the main road give up their positions, flee and thus clear the way for ISIS. With the loss of the main road, the civilians loose the fastest route to the north which is still safe at this point of time. Meanwhile, clashes are continuing in the towns for hours and the Yezidis are on the verge of running out of ammunition. Around 100 Yezidis are fighting in Gir Izer, another 500 in Siba and Qataniya. “We were in close communication with the 17.th Division of the KDP and Peshmerga and informed them about the events. We called them several times. They told us that reinforcement was on the way, saying that they would arrive every moment”, Haci Qeyrani continued. The KDP politburo asks the Yezidis to hold their positions and put up resistance until the Peshmerga arrive. The Yezidis in Siba and Gir Izer also summon the “Black Unit” of Sheikh Alo Doski, which is stationed only a few kilometres away, to provide support. In reality, however, not a single Peshmerga is on the way. The commander of the “Black Unit” later stated that he had not received the order to dispatch his men, although the Yezidis had informed the 17th KDP division and Peshmerga commanders. The Yezidis in Siba and Gir Izer continue to fight, until the early hours of the morning. “We fought for about four hours and not a single unit came for our support”, says Heci Qeyrani who was fighting in Siba at that moment. “They told us to continue to fight until the Peshmerga would arrive. At that time, all Peshmerga had been already running away and setting out to Rabia [editor´s note: border with Syria in the northeast of Shingal] which is located 60 kilometres away. 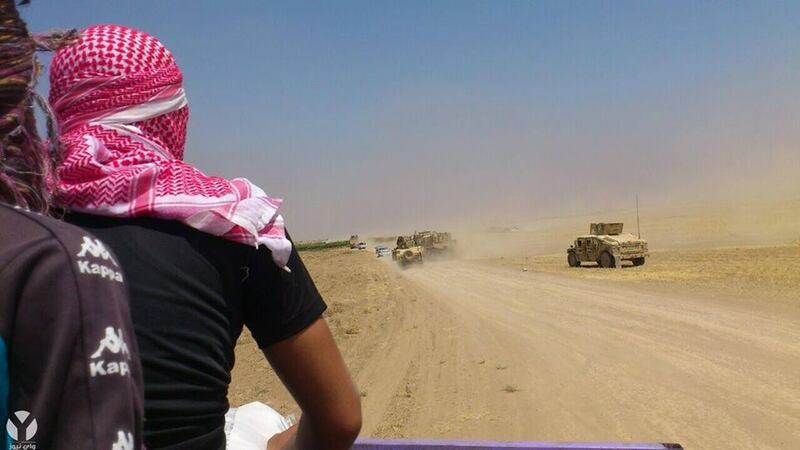 Between 6 and 7 a.m. the Yezidis´ ammunition is finally exhausted, the reinforcement has still not arrived. But the Yezidis still believe that the Peshmerga will arrive soon to repel the terrorists´ attack. While the Yezidis defend their towns, the Peshmerga are already over the hills and far away. In the north and east of Shingal some Yezidis observe how the Peshmerga leave their positions and set off for the north. Although not a single IS terrorist has reached the north, the Peshmerga run out of their barracks and flee. The majority of the Yezidi civilian population is still asleep at this time. 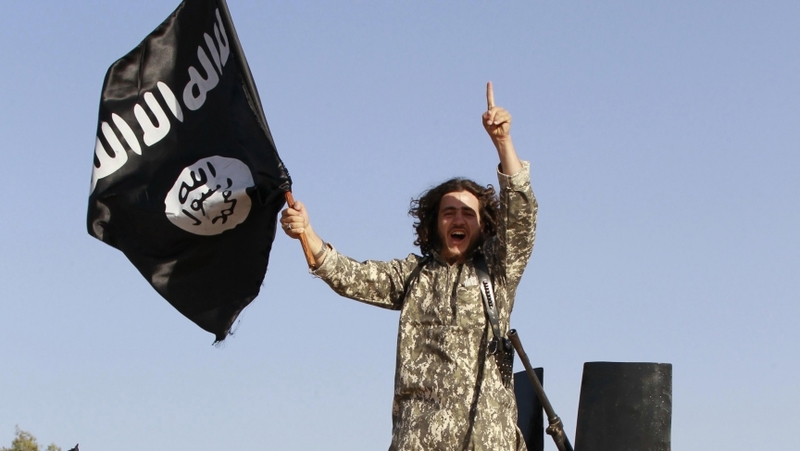 Soon after, the black flag of the IS will wave over their heads. Yezidis from Siba and Gir Izer had already reported over the phone about the developments in the south and believed that the Peshmerga would come to their rescue since the politburo asked them to “hold their positions”. The troops of Aziz Waysi, Said Kestayi and Shewkat Doski were, along with their commanders, already on the run. Aziz Waysi who was supposed to defend the Zummar region, fled together with his troops and opened the way for the IS terrorists in the east of Shingal. During the first hours of the attacks, while the Yezidis were asking for support, Shewkat Doski was doing a runner according to eyewitnesses. With him, all security forces too. Instead of sending his troops to the south, Said Kestayi´s troops fled from the west of Shingal. And even before the terrorist militia reached Shingal City and civilians were aware of their situation, Sarbast Bapiri had flown from the city to the safe mountains. In the meantime, the IS terrorists almost completetly surrounded the Yezidis in the south and threatened to storm the towns at any minute. Even from the east, more terrorists swarmed to the Shingal region and from both the west and the north IS terrorists advanded to the villages and towns of the Yezidis. At that time, all Peshmerga were already on the run. At 6 a.m., the Yezidis in Til Ezer are then being warned by Yezidis from the north, being told that a catastrophe is going to happen and several Yezidi villages have been already surrounded. The call gets an older woman. When the people of Til Ezer try to escape, a Peshmerga checkpoint which controls the access road to the village prevents them from doing so. The Peshmerga assure the villagers that nothing would happen to them and the Peshmerga would defend them, asking them to return to their homes. A little later, at 9 a.m., a Yezidi finds the Peshmerga checkpoint abandoned. He hastens back to the village to tell the villagers that their alleged protectors ran away. But the IS terrorists have already targeted the village. Only a few villagers manage to escape to the mountains. 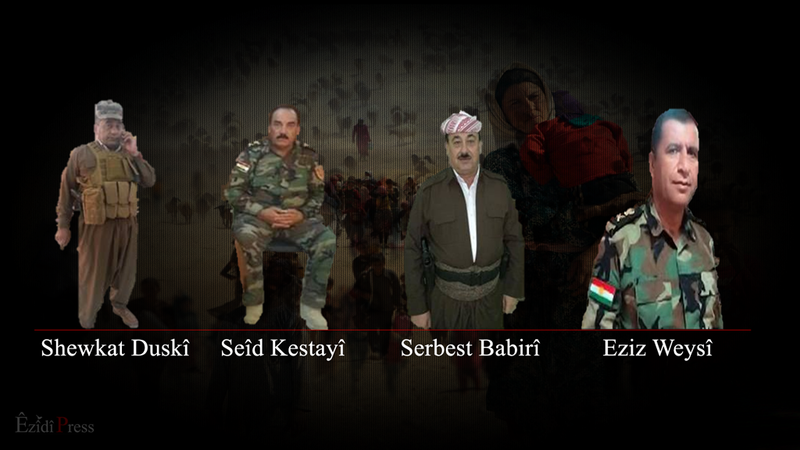 Over 100 Yezidis of the village are massacred, including the husband of the older woman. Women and children are herded onto pickup trucks and abducted. The same incident occured in the Yezidi village of Kojo where the terrorist militia will massacre over 600 Yezidis and abduct 1,000 women and children a few days later. As in Til Ezer, the Peshmerga had prevented the Yezidis in Kojo from leaving the village before. At about 7:30 a.m., the Yezidis in the south receive first desperate calls about why they had been not already on the run since the Peshmerga had given up their positions. Only then the Yezidis begin to realize what had happened. Panic breaks out, the IS storms the towns of Gir Izer and Siba. “If the Peshmerga had only told us about their flight and the missing reinforcement, we would have had enough time and ammunition to carry the civilians into safety”, another eyewitness from Siba complained. “When they surrounded us, it was over for us because we had no backing. We were defeated and so we fled. They [the IS terrorists] captured our women, killed our relatives in the houses, their bodies are still lying there”, says the eyewitness from Gir Izer. Several hundred Yezidis are massacred at that hours. The women and children are abducted. The 11,000 Peshmerga and their 200 commanders who were supposed to “defend the Yezidis down to the last drop of their blood”, ran away. The trust in the Kurdish security forces turned out to be a fatal mistake. The betrayal was perfect. But that is not all. In the east of Shingal, in Zorava, several Yezidi Peshmerga observe how their units are about to flee along with the heavy weapons. Dozens of Yezidis run to the barracks of the Peshmerga and ask for the weapons which the Iraqi army had left behind. About eight trucks fully stocked with weapons are located in Zorava alone. If the Peshmerga were not ready to defend the Yezidis, they should have at least left weapons to them for their self-defense. Kasim Sheso, who himself was a member of the 17th KDP section at that point of time, shortly stated after the events: “If the Peshmerga had left the weapons which the Iraqi army abandoned to the Yezidis, the Yezidis would have been able to defend themselves. This catastrophe, this genocide would have never happened.” But that is not going to happen either, quite the contrary will be the case. When Peshmerga units in Zorava try to escape, several Yezidi Peshmegra put themselves in front of the convoy and demand to fight against the IS or leave weapons behind for the self-defense. A dispute erupts. One Peshmerga opens fire, killing the three Yezidis Ayad Naif Murad, Ali Elyas Yousif and Eliyas Khalaf who themselves were Peshmerga fighters. Another Yezidi called Jemil Khalaf Eliyas gets wounded. Several Yezidis from Zorava confirmed the incident which will never be investigated, for which no one will be ever charged or convicted. As the Yezidis in the south realize that the resistance has long been broken, they are trying to escape to the north into the mountains. Meanwhile the Muslim-Sunni neighbors of the Yezidis pull on the black robe of the IS terrorist militia and fire with machine guns at the refugees, women and children. At their neighbors. The people are desperately trying to reach the mountains, the IS terrorists and their Sunni neighbors cut them off from the path, killing dozens of people. Heydar Shesho, the Supreme Commander of the Shingal´s Protection Unit (HPS) tells how Kurdish IS terrorists burned Yezidis alive in Shingal. Later, after the US air strikes begin, many members of the Sunni-Kurdish tribes head off out of fear to the Kurdish region, without being prosecuted for their crimes until today. More than 360,000 Yezidis, especially in the north and east, managed to escape to the Kurdish region. The selfless Kurdish population from Zakho to Erbil supplied hundreds of thousands of refugees with food and water, and placed accommodation at the disposal. 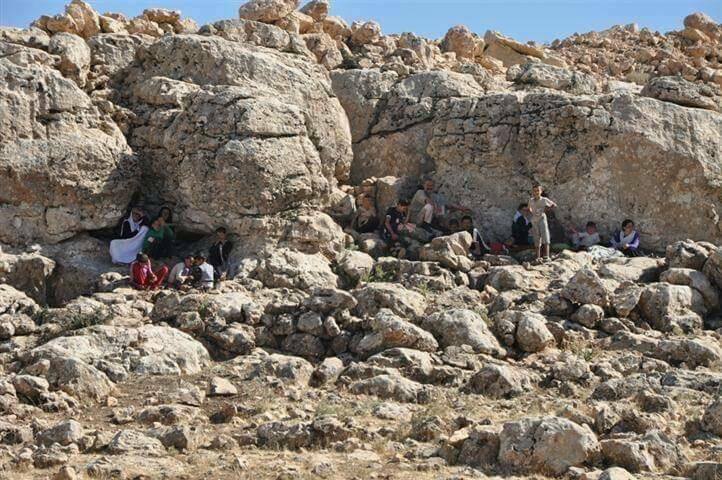 Up to 60,000 more Yezidis, whose escape was denied in the north, searched meanwhile for protection in the Shingal Mountains, where they had to endure for days at temperatures above 45 ° C without water and food. Hundreds died in these days. The terrorist militia IS abducted thousands of women, girls and children from the villages. Yezidi women and girls were taken away with trucks. Later IS referred to the captured Yezidi women and girls as “spoils of war”. The intention of the terrorist militia: To destroy the Yezidis, their religion and culture. The until then heroised Peshmerga in Shingal had completely failed, leaving hundreds of thousands of civilians to the executioners of the IS and not even bothered to at least evacuate the civilians. Instead, armed men fled even before thousands of women and children had the opportunity. Officials of the KDP, including Yezidis, are faced with a huge, justified criticism in the following months. Suddenly it was said, that the incident needs to be investigated, the situation was not “clear”. There had been a “tactical retreat” by the Peshmerga, but in no case an escape. What the KDP and many other Kurds conceal, the Peshmerga general and spokesman for the Peshmerga Ministry Holgard Hekmat openly and honestly puts in a nutshell during an interview with SpiegelOnline: “Our soldiers simply ran away. It’s a shame and apparently a reason which is why they invent such allegations [editor´s note: referring to the alleged tactical retreat]”. The Peshmerga general repeatedly stressed that there was no order to retreat and that all those responsible would be punished. Shortly after, it was said by both the military and politics that the withdrawal of the Peshmerga in Shingal was not an isolated case. Also in other regions of Kurdistan, the Peshmerga had to withdraw. That is so far correct. But in these regions, such as in Makhmur, the civilians were evacuated before the withdrawal. Next, an attempt was made to push down the number of Peshmerga fighters stationed in Shingal, as if it would make the action seem less serious. The Peshmerga commanders themselves, however, have repeatedly mentioned the number of about 11,000 men which is realistic and necessary given a population of over 600,000 people in Shingal and another ten thousand in Zumar. A few days later the Kurdish President Barzani announced that he would bring “all those responsible to justice” and thus made it at least clear that no order to retreat took place. To date, however, there is neither a criminal conviction nor a serious process taking place. Those responsible, Sarbast Bapiri, Said Kestayi and Shawkat Doski were questioned under house arrest in a hotel in Pirmam and released a few days later. The 200 Peshmerga commanders were questioned in an alleged investigation on the incidents. However, since many of them already were in use on other fronts as in Khanaqin, it was suggested that it was not the “right time of active Peshmerga commanders and soldiers” to undergo an investigation. The theatrical play begins. 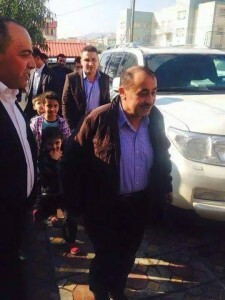 Enough time was, however, available to arrest the leading Yezidi Supreme commander Heydar Shesho who – after the Peshmerga fled – rushed to Shingal to defend the Yezidis there. Him they put in a cell with IS sympathizers. Heydar’s father Qaso Shesho was imprisoned for years in the dungeons of Saddam and tortured, because he as a KDP Peshmerga in Shingal fought against Saddam’s troops. Not Peshmerga fleeing from the fight but a top commander who risked his life for months without the help of the KRG in defense of tens of thousands of people in the Shingal Mountains, represents, according to the KRG president, a threat to “internal order“. The Shingal´s Protection Unit which was founded under the impact of the genocide, was criminalized. Yezidis should not digress their reproachful glances too far, if they look for the true perpetrators. There are Yezidi party supporters who lack courage in one of the most difficult hours of the Yezidi history to call the crime by its name: Betrayal. Instead, they appease facts and evoke conspiracy. The failure of Yezidi associations who interpret the lobbying as self-profiling in order to feed their timeline on Facebook with names of politicians, instead of fighting for favorable decisions for the Yezidi community. As criticism of the Peshmerga for their betrayal increasingly grew louder within the Yezidis, the Yezidis were accused of “ingratitude”. Dozens Peshmerga laid down their lives for Shingal, it was said. The Yezidis “had betrayed their Kurdish identity and slandered the Peshmerga“. So, not fleeing Peshmerga, but criticizing Yezidis have harmed the reputation of the Peshmerga, according to the opinion. During the Arabization of the Baathist dictator in 1980, the Iraqi leadership registered the Yezidi minority as ethnic Arabs. The Yezidis joined shortly thereafter the Kurdish resistance under Mollah Mustapha Barzani who headed a powerful and feared rebellion with the Peshmerga. Thousands of Yezidis flocked to the Barzani Party of the Kurdistan Democratic Party (kurd. PDK). 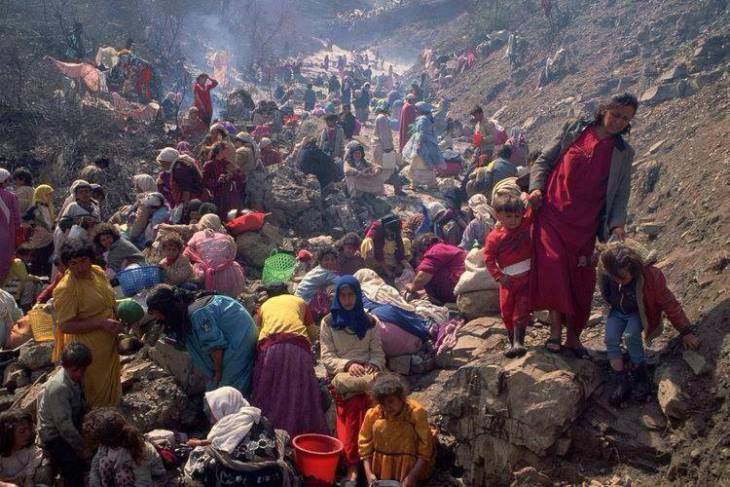 Yezidis suffered side by side with the Kurdish Peshmerga during the first and second Gulf War, died in the mountains and cities of South Kurdistan as Peshmerga, as hundreds of thousands of Kurds. Today as well. Because they supported the Peshmerga and the KDP in Shingal in the 80s, they attracted the wrath of Saddam Hussein who summarily layed hundreds of Yezidi villages in Shingal and Sheikhan in ruins, forcibly resettled hundreds of thousands of Yezidis and ordered murders. As a recognition of these sacrifices, after the end of Saddam’s regime and the liberation struggle by the Yezidis, the Kurdish society in Iraq now turned their backs on and discriminated the minority in many parts themselves. From institutional arrangements in the judiciary to the simple vegetable seller, hardly anyone wanted to have something to do with the former comrades and fellow sufferers. But when it came to the point to defend the region of the Yezidis, the major area of settlement, not one of the Peshmerga stationed there was willing to. Saddam’s shadow, the Sunni Arabs who were settled in Shingal, put themselves on the Yezidis like a black veil, while the Peshmerga were unwilling to defend them. In the end ground forces of the Kurdish People’s Protection Units (YPG), fighters of the PKK, who rushed from Syria and other regions of Kurdistan as well as air strikes by the US succeeded to rescue the stranded Yezidis in the Shingal Mountains. 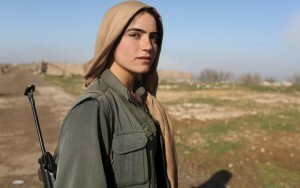 Again, the Kurdish government made no efforts to fight for the escape corridor to the border with Syria. Only four months later, after several attacks and offensives by the terrorist militia on positions of Yezidi resistance fighters, the Peshmerga marched into Shingal and freed with other units the north. The Kurdish President and the Prime Minister stood on the Shingal Mountains and allowed themselves to be celebrated as liberators of a massacred people. The events in Shingal have severely shaken the relationship between the Yezidis and the Kurds. A complete break was prevented only by the selfless citizens of Kurdistan who received the Yezidi refugees with open arms as well as the Kurdish fighters of the YPG and PKK. To call the Peshmerga as a whole to account is not only unreasonable, but also just plain wrong. What has happened in Shingal, however, must be regarded as nothing but treachery. The KDP has been enjoying for decades the loyalty of Yezidi dignitaries and politicians. The majority of Yezidis live in the areas controlled by the KDP within the Autonomous Region. No other option remains therefore to the Yezidis, but to comply. The secular leader of the Yezidis, Mir Tahsin Beg, was therefore repeatedly reproached politically to act in favor of KDP. However, the Mir had already recognized the danger years earlier. Only in semi-subversive meetings with US leaders in Iraq one dared to name the truth. “Like snow in the sunshine, the Yezidi community will melt under the KDP”, said Mir Tahsin in one of Wikileaks published, confidential report in 2008. He, too, was right. The Yezidis have relied on the protection of the Peshmerga, who in their part gave assurances regarding the defense of the Yezidis. But they left the Yezidis in the lurch and allowed a genocide against innocent people. Only an emancipation from political parties can ensure the future of the Yezidis in Kurdistan seriously.